CIOs discuss the maturity of their SaaS vendor management. Given this, I wanted to hear from the CIOs in the #CIOChat about their perspectives on SaaS and SaaS vendor management. These CIOs were clear with me that they are moving their organizations to SaaS and public cloud slowly but surely. In general, they said there will be less on premise and more SaaS and public cloud. Most believe in the next three years that on premises will no longer dominant computing workloads. CIOs claim that on-premises is under pressure from all sides these days. 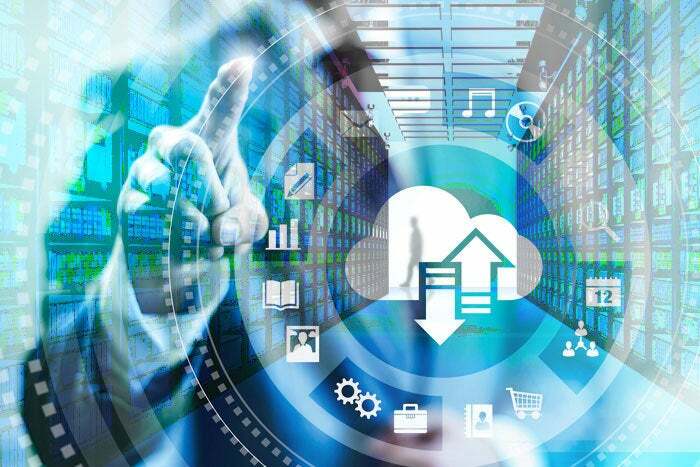 Given this, CIOs believe that commodity, low customization apps are going SaaS and differentiating innovation to the public cloud with on premise becoming the exception. Market analyst, Hyoun Park, who attended this #CIOChat, validated the CIOs opinions by saying that in the next 3 years, SaaS spend will grow to 30% of all software purchases. CIOs had a lot to say about managing SaaS. For most SaaS subscriptions, they want the auto renewal function turned off. They considered accepting auto renewal as a risky business proposition. Some CIOs, however, contrasted subscriptions for Office365 (for which they said there is little wiggle room) versus applications like analytics. CIOs stressed, nevertheless, that even where there is an auto renewal in the contract, you can still negotiate with vendors. In general, CIOs said organizations should prepare for the renewals in advance. Many suggested evaluating annually agreements that are set to expire. Joanna Young, the former CIO for Michigan State, said here that “old procurement processes should not carry over to a SaaS or cloud arrangements—auto renewal is one of those processes”. Instead, she said “CIOs should have Key Performance Indicators (KPIs) and Service Level Agreements (SLAs) included in the contract and should actively monitor and manage their SaaS vendors. The ability to meet or exceed measures should inform the renewal process”. Other CIOs agreed with Joanna and said that the delivery method needs to be spelled out. SLAs need to provide visibility and transparency. CIOs believe that contract termination dates are in fact a good thing because they trigger a review of vendor performance. In turn, this creates transparency with the CFO, CEO, and LOB leaders about the value created versus the dollars expended. Hyoun Park said, only 20% of enterprise SaaS is formally managed. He said, unfortunately, the ‘shadow IT’ portion is too easily hidden on credit cards and expense reports. CIOs feel that it was important to integrate a buyer into SaaS procurements. Having a buyer involved helps guide businesses through the process. Additionally, CIOs said that once you have a price, you need to get commitments for additional discounting as business volume grows. A mechanism for doing this involves using a Request for Proposal (RFP) process. CIOs insist that scaling cost factors should be identified upfront. They suggest that volume cost management should be built right into contract. Government organization CIOs suggested that this kind of predictable is necessary for annual public budget processes. CIOs stress that ensuring a best price for SaaS requires an up-front investment in resources. Everything should be worked up front with the provider. As well, CIOs suggest that IT leaders need to share with vendors that their pricing model needs to be forecastable. They need to share the importance of SLA and KPI reporting. These acts ensure that you know what you are paying for. CIOs believe these functions require a partnership between purchasing, IT, and the functional area with the business requirement. They believe that all requirements need to be reviewed by IT prior to purchase or renewal regardless of whether there is a timing issue. CIOs believe without alignment in advance as to how to evaluate and manage a new SaaS partner, you are creating a recipe for business failure. Some CIOs claimed to already have well-oiled processes. However, even these CIOs say that they know of plenty of organizations where the process is not well managed, and this causes business problems for these organizations CIOs. CIOs, in general, say that they are worried about shadow IT. They say that these efforts need purchasing and finance to ensure business agility is maintained during the life of a purchase. For this reason, some CIOs suggest that IT and procurement need to conduct internal discovery for shadow SaaS. This, of course, could involve integrating network polling, endpoint management, and expense management data. I asked CIOs whether this a black hole for them. CIOs honestly had varying answers. Many said that tracking functional penetration is just about impossible. They said that they do it only on a request basis or if they notice correlated data, like an absence of logins. CIOs said they do try to review utilization for an entire service. In general, CIOs say that you cannot take your eyes of the ball with SaaS. They say that the biggest friction with vendors comes when you are surprised and a true-up costs millions of dollars. CIOs say this means that IT leaders need to get as granular as possible. CIOs need to know what features people are using and what features they are not using and how much SaaS subscriptions are being rented. CIOs suggest that understanding utilization in pre-renewal discussions is critical. It provides you with leverage in the next contract renewal. Hyoun Park says the problem is that too many use spreadsheets and IT asset and finance solutions while next generation SaaS optimization solutions have begun to emerge. It seems clear that we are at the early days of managing SaaS vendors. CIOs and their IT teams need to active manage SaaS vendors to ensure that they get what they are expecting. This requires SLA monitoring and KPI reporting. It also requires IT and purchasing be actively monitoring vendor performance. And finally, it requires new tools to ensure that the business gets a square deal. Without this, businesses can be taking unnecessary risk and expenditure.